Come and choose this creative Business WordPress theme for creating a better appearance for your website! 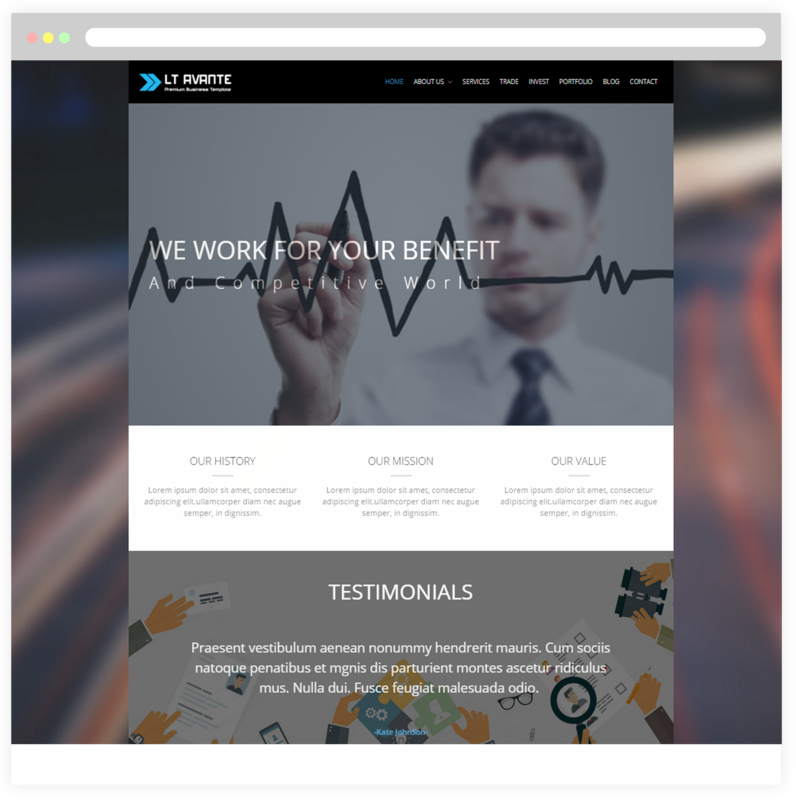 LT Avante Onepage is a free single page version of LT Avante WordPress Theme (multi-page). The theme has simple design but it is still modern and professional, so this theme will be very suitable for businesses to showcase their company and promote its services such as perfect strategy, featured projects, effective teamwork… For the technique of this theme, it builds from powerful framework with fully bootstrap supporting strong shortcode for present content easily, drag-drop layout content with Bootstrap CSS & Hybrid framework. LT Avante comes with 100% responsive layout that is smoothly adapted to different screens (support tablets and all mobile devices). In addition, it comes with unlimited color and a color picker in the admin panel. 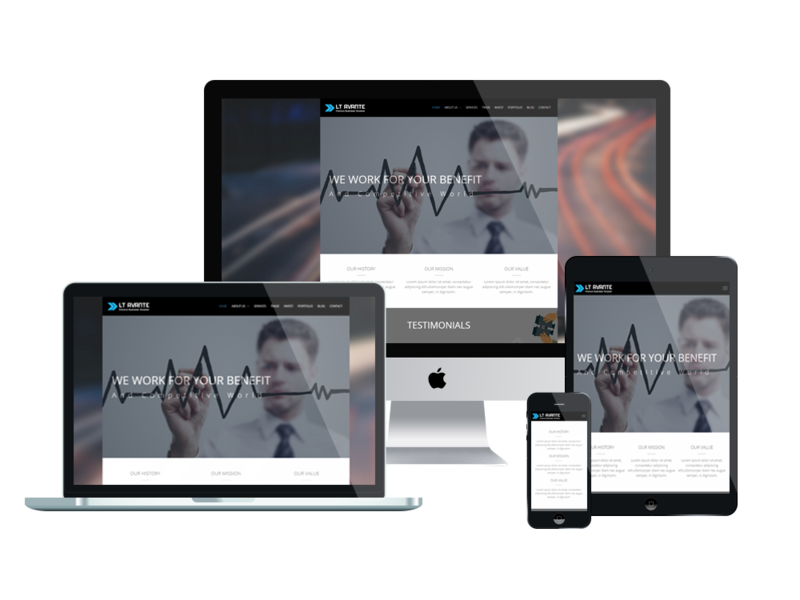 By downloading and installing this creative theme, you can instantly create a super presence for your website.